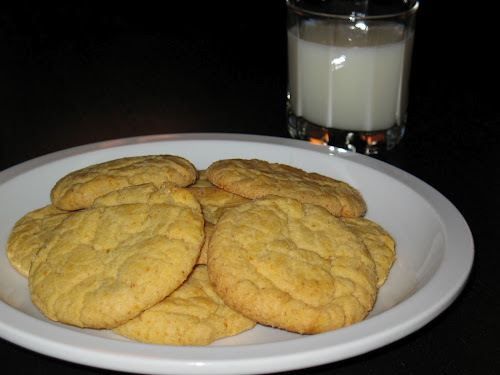 I recently discovered the most interesting cookie recipe I've come across in a long time. While reading the second issue of Lucky Peach, I was intrigued by the corn cookies by Momofuku Milk Bar pastry chef Christina Tosi. 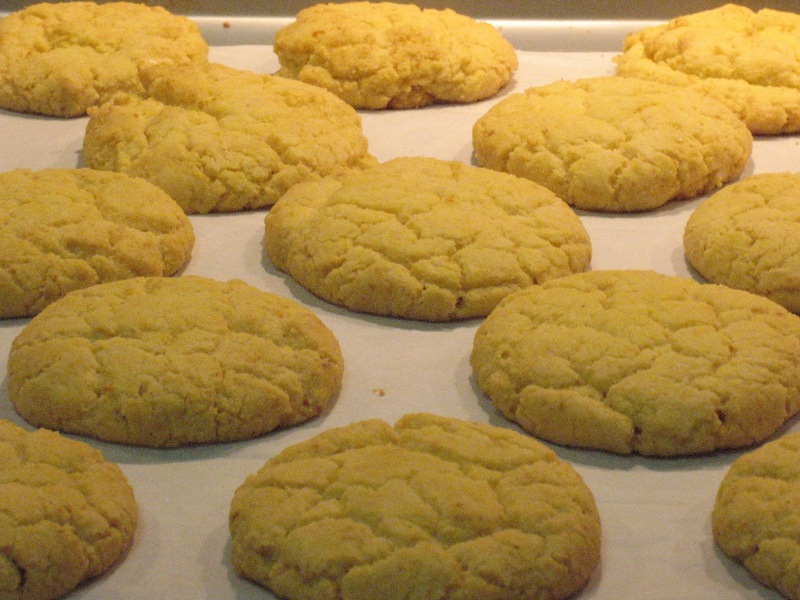 Corn cookies may sound odd, but before you dismiss them, consider this: imagine the sweet taste of late summer corn-on-the-cob, think about the sweet richness of really decadent corn bread, now imagine that translated into the buttery goodness of a freshly baked cookie. Do I have your attention now? I was even skeptical while making them, but after the first bite, I knew all bets were off. This is one amazing cookie. I used kosher salt, which I don't normally do in cookies, but its larger (and thus less diffused) salt crystals delayed the salty taste a bit. So first you taste the sweet, then the salty, making each bite a multi-part taste sensation. I couldn't find the freeze-dried corn in any stores, so I ordered it from Amazon. Don't skip this ingredient: it's what gives the cookies their intense corn flavor. Corn flour alone will not cut it. 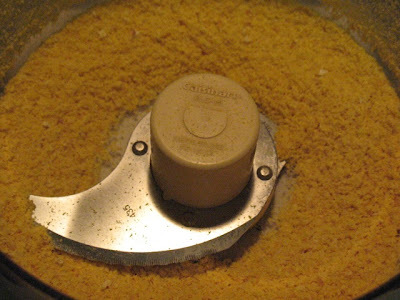 Speaking of corn flour, I wasn't quite sure what that was, so I used finely milled corn meal, which worked fine and I think may in fact be the same thing. This was the first baking recipe I made measuring some ingredients by weight rather than volume, having recently acquired a kitchen scale. Tosi's recipe includes both types of mesures, so I was monitoring if there were any differences. By weight, I used slightly less sugar than I would have by volume, but otherwise they were all pretty close. 1. 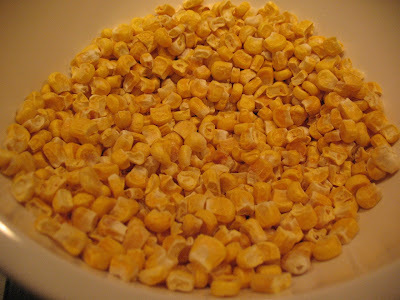 In a food processor, grind the freeze-dried corn into a fine powder. 2. 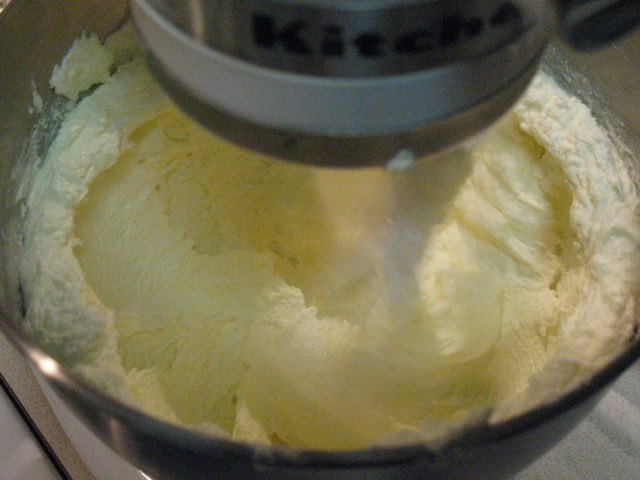 In a stand mixer, beat the butter and sugar together on medium-high for 3 minutes. Scrape the sides, add the egg and beat on medium-high for another 7 minutes. 3. Add flour, corn flour, freeze-dried corn powder, baking powder, baking soda and salt and beat on low speed until just combined, no more than 1 minute. 4. Portion the dough into rounds about the size of 3 tablespoons onto a parchment or Silpat-lined baking sheet. Chill in the refrigerator for at least an hour (up to 1 week). 5. Preheat oven to 350 F. Bake cookies for 18-20 minutes until browned on the edges but still bright yellow in the middle. 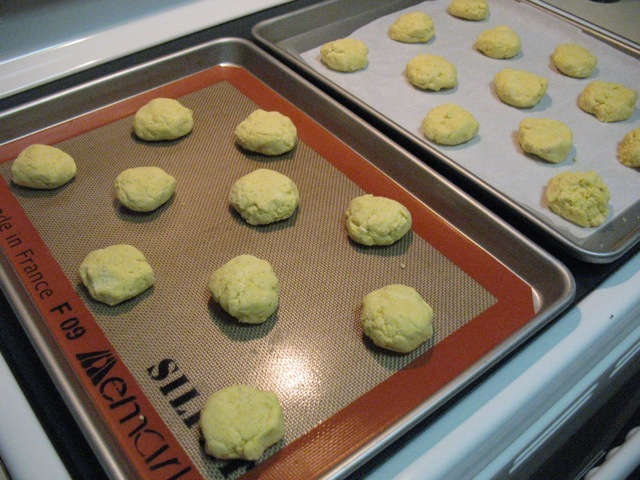 Cool cookies on sheet pan and then transfer to airtight container to store. Why am I not eating these right now? I'm going to make them again very soon. They were so amazing. It's been three months. Please define "very soon." Oh my yum! That looks delicious! Thank you! I love these cookies.